You may have started getting your paperwork in order so that taxes will be simple to prepare and file in April (or October if you get an extension). Even after your tax returns are in order, there are still items that you should take care of to be assured your finances and planning are up to date. If you’re already a client, you probably already have a trust-based estate plan or are in the process of completing your plan. So, you’ve already taken important first steps to making sure your assets and family are protected from financial mismanagement, the probate process, and internal family conflict. 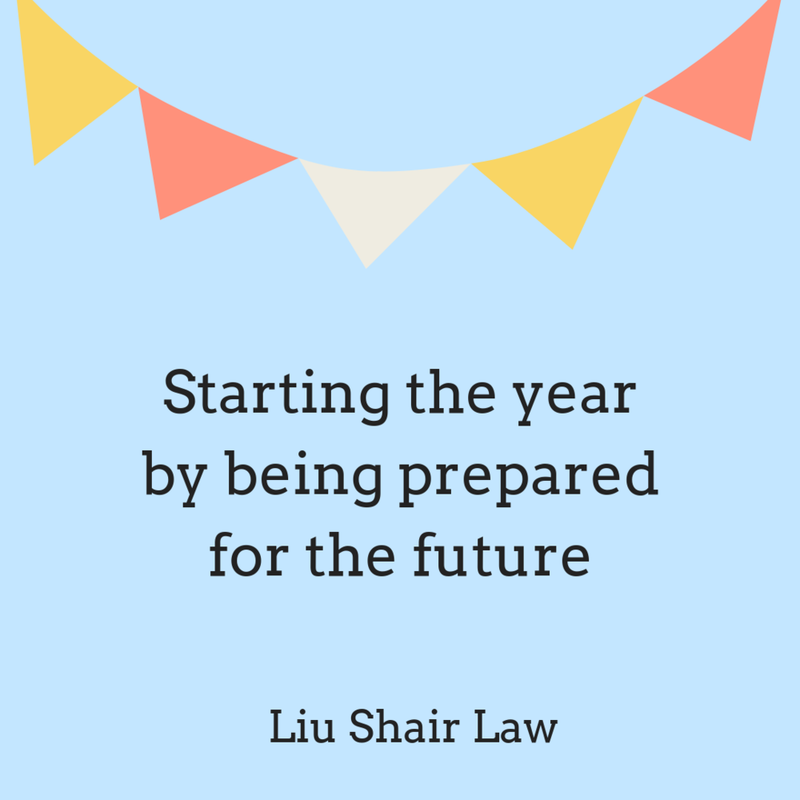 If you haven’t started the process of creating an Estate Plan, then this is a great time for a New Year’s resolution! Your trust needs to be funded with your assets properly or it won’t work as you intended. As we reiterate through our consultation, design session, signing session, and even after your plan has been executed, it’s so important to keep your trust updated for your wishes and fund the trust with your assets. Follow these three easy steps as soon as possible to make sure you’re starting the the year off wisely. 1. Review your trust to ensure it still matches your goals. If there have been significant life changes since you created or reviewed your Estate Plan, such as a new addition to the family, the loss of a loved one, changes to relationships, or major health concerns, you might have a new view on your long-term estate planning goals and wishes. We recommend reviewing your trust every three years or whenever there’s a big change. 2. Look over your financial statements, beneficiary designations, and other paperwork for your accounts. You may have already put together documents and statements in order to prepare for tax season, whether you’re using an accountant or filing by yourself. Before filing these away, make sure that your Estate Planning portfolio is updated with all of your current assets and accounts. On bank and brokerage statements, confirm that your account was converted into or created as a trust account. This is most easily done by checking the recipient in the address block. If it says, for instance, “John Smith and Jane Smith, Trustees of the Smith Family Revocable Trust dated January 1, 2019” or some version including your names and your trust’s name, then you can rest assured that the account is a trust account. If you have personal accounts that still are not part of the trust, please work with the institution to convert the accounts to trust accounts. There are a few banks that do not support trust accounts; if this is the case, we highly suggest moving your assets to a bank that does have trust account capabilities. For retirement policies and life insurance policies, it is easy to check the beneficiary designations online. Please confirm that these are correct and if you have questions on beneficiary designations, it is important to consult us. Estate Planning is an ongoing process! We need to routinely review and update your plan to ensure it meets your goals and works with changes to your assets, your family dynamics, and the law. 3. Get in touch if you have questions about funding your trust, tax and legal changes, or if you need to make changes to your plan. It’s important to make sure that actual ownership of all of your assets aligns with your estate planning goals and documents. If your financial situation has changed drastically, you need to be up to date with tax laws, including the Estate Tax Exemption (this changes year to year). We update our clients with developments they need to be aware of so please be sure to review the e-newsletter. Lastly, if there are changes that should be made, whether it’s to your nominees, asset distribution, or the structure of your trust, don’t put it off. Once we make sure that all three of these steps are taken care of, you can focus your energy on other more exciting endeavors than about your estate plan. Remember that an Estate Plan is only great if it’s customized for you and your current wishes and is funded appropriately. Take this process seriously, be honest and open with your attorney and professional advisors, and keep things updated with your wishes and funding. If you do all this, your Estate Plan will be in good shape for your family’s situation.